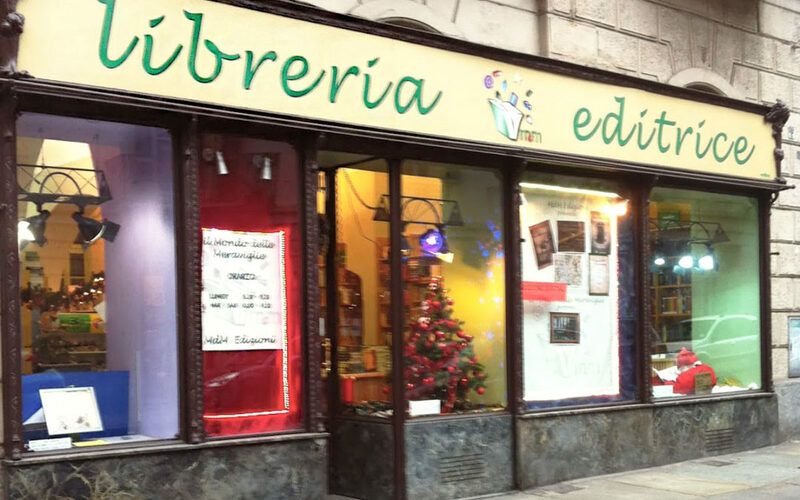 Esiste a Torino, una piccola libreria vicino al centro; un posto magico, tutto pieno di libri, un posto speciale perché, sugli alti scaffali che si diramano su tutte le pareti, si possono trovare solo libri per bambini: infatti, i bambini della città sanno che lì possono trovare libri grandi e piccoli, d’avventura, di pirati e principesse, libri da colorare o da ritagliare… quasi un sogno? Eppure, una libreria così c’è e si trova dietro ai giardini Cavour, in via San Massimo, 53 ed è una delle librerie indipendenti a Torino per bambini e ragazzi. There is a small library near the center in Turin – a magical place, full of books. This place is so special because you can buy there only books for children. In fact, the children know that there can be large and small books, adventure, pirates and princesses ones, coloring books, or to cut out … Doesn’t it sound like in a dream? Yes but.. there is a library like this this library really exists and it is located behind the Cavour gardens, via San Massimo, 53, and it is one of the independent bookstores in Turin for children and teenagers. When you are at the door, you will find a bell near you: ring it and Marilaura and Anna, the owners of the store will be at your disposal to clarify any doubt or answer any question. Indeed, if you have no ideas at all, expect to answer a few questions: so the bookseller can suggest you the right book. Or maybe you can get inspired by the collection of advice: in front of the door there is a library where Anna and Marilaura collect the books that they love. If you prefer to browse on your own, go ahead but pay attention to the arrangement. In fact, the store is divided into sections: you will see that the entire wall is occupied by books for the nursery; on the other side, there are books for the first and the second elementary schools (depending on the reading ability of each). Just nearby, there are the young adult shelves for and the whole island with the most recent publications and the classics section. The coloring books and stickers are more towards the back of the store, but, on the road, you’ll also find pop-ups and timber construction.